Can my children fill in the online forms for me? Do joint attorneys have to agree? Can I give my attorney the right to appoint a substitute, successor or joint attorney? What powers can I include? Do I have to tell my attorney before I appoint them? Does the attorney get paid? Does the Office of the Public Guardian offer legal advice? Does the attorney have to notify the Office of the Public Guardian of any events? What if the attorney dies? Can one attorney resign if there is a substitute/remaining joint Attorney? What is the difference between a continuing and non-continuing Power of Attorney? What happens if I have granted the power of attorney to my husband/wife/civil partner and we divorce or separate? What happens if a guardian is appointed whilst a power of attorney is in force? When does a power of attorney come into force? Can your Attorney register you to vote in an election? 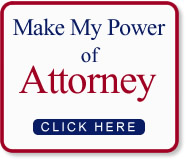 Why Should I Grant and Register my Power of Attorney? How long does a POA last? What happens if my attorney resigns? My POA is registered in England. I now reside in Scotland, do I need to grant a new POA? If I grant and register a POA, who should keep the new certificate of registration issued by the OPG? Yes. Your children can do, online, anything that you wish them to do. There is a safeguard in the system. The certificate attached to the Power of Attorney needs to be signed by the doctor or solicitor and they will not sign unless they are convinced that you know what you are doing. Yes. A Power of Attorney made in England is not valid for a Scottish resident. 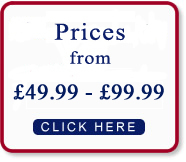 MyScottishAttorney is the only online provider of Scottish Powers of Attorney. Unfortunately, this is not made clear on certain websites, so be careful. Scottish Powers of Attorney are dealt with, exclusively, by the Office of the Public Guardian in Scotland There is an organisation with a similar name in England but that only deals with English documents. Anyone you choose bearing in mind that the position is one of absolute trust and you should be sure to appoint someone who has the necessary skills to assist you and will act responsibly. 1. Whilst you can appoint a person or an organisation to be a financial (otherwise known as continuing) Attorney, only an individual can be a welfare Attorney. 3. An individual cannot act as a Financial Attorney whilst bankrupt but they can act as a welfare attorney during the bankruptcy. 1. One attorney to deal with your financial affairs and the other to deal with your welfare. 2. A substitute attorney to take place of one who dies or resigns. Not necessarily as, when you grant the Power you can specify whether the Attorneys can act individually or only where there is agreement. See Joint on the Jargon Page . No, only you can appoint Attorneys. Standard financial powers might include the right to buy or sell land and buildings, open and close financial accounts, sell shares and claim and receive payments on your behalf. Standard welfare powers might include the right to make decisions about your medical treatment (subject to certain defined exceptions), where you live, who you see, what you wear, etc. Not necessarily but if you don't there could be certain practical consequences. 1. The Attorney may decide not to accept the position. 2. The attorney will not have any idea about your financial position or your wishes as regards medical treatment which will both affect your ability to be able to help you and, indeed, their willingness to do so. 3. You will not be able to register the Power immediately. In the event that there is some flaw in the document and you have lost capacity, meantime, this may well result in court actions having to be raised for guardianship powers by someone. The guardian appointed by the court might not necessarily be someone you would have chosen. 4. For continuing and welfare powers that are to come into effect only on you becoming incapable, there must be a statement in the document that you have considered how it will be determined that you are incapable. This is likely to be something that you will wish to discuss with your attorney, beforehand. Not unless you make specific arrangements for this in the document. You can specify that they should receive fees and/or out-of-pocket expenses. A professional person will expect such a clause to be in the document. His personal representatives should notify the Office of the Public Guardian and, if possible, they should also contact the joint or alternate attorney (assuming there is one). Yes, providing he gives notice in writing to the granter, The Public Guardian, any guardian of the grant or, if none, the primary carer. In the event that the local authority is supervising the welfare attorney, they should also be notified, in writing. The resignation does not, however, take effect for a period of 28 days after intimation in writing. Yes. The resignation will take effect on receipt by the Public Guardian of the written notice referred to along with a further notice to the effect that the remaining joint Attorney is willing to continue or that the substitute is willing to act. A continuing power of attorney grants the Attorney the right to deal with your business from the point it is “triggered” until you terminate the power. A non-continuing power of attorney is usually used for one-off events, such as the purchase or sale of a house. For continuing and welfare powers of attorney only, in the event of a court decree of separation, divorce, dissolution or declarator of nullity, the Power comes to an end (unless the document says otherwise). In any other situation, the Power continues. For continuing and welfare Powers of Attorney, only, the Power terminates. 1. Non-continuing power of attorney. This comes into immediate effect unless the document states otherwise. 2. Continuing power of attorney. This comes into effect when "triggered" and after having been registered with the Office Of The Public Guardian. For instance, you may indicate in the document that it is only to be triggered when you are no longer capable of dealing with your own affairs. Alternatively, you may wish it to come into effect straight away in which case you will say so in the document. 3. Welfare Power of attorney. These, by law, can only be triggered once you become incapable. One of the requirements of the law is that before signing a power of attorney, you must consider the method by which your incapacity is to be determined. For instance, you may think that if two doctors say that you are incapable, that will be sufficient and this may well be something you want to discuss with your attorney, beforehand. If you grant a power of attorney but you do not wish it to come into effect immediately, you can say in the document that the powers are only to be exercised after certain events. For instance, the powers are triggered if you become incapable of dealing with your own affairs.